Microsoft released a new build for Windows 10 Preview and Windows 10 Mobile Insiders yesterday. Just like all newer releases, build 14393 doesn’t introduce any new features but instead fixes some issues in both versions of the system. If you follow what’s going on at Microsoft and Windows 10, you’re probably not surprised by the lack of new features with the Anniversary Update near and Redmond needing to polish it before release. Even when it comes to bug fixes and improvements, build 14393 actually doesn’t enhance many aspects of the system like in previous builds. Additionally, the build also doesn’t have a lot of its own known issues, which indicates that the Anniversary Update is indeed near. Because all of that, a lot of people actually think this build could be the RTM release, which is completely reasonable to think. We have improved the reliability of Start, Cortana, and Action Center. You should now be able to mount iPods as USB mass-storage devices. We fixed an issue resulting in rapid battery drain when Visual Voicemail syncs voicemail messages on Dual SIM devices like the Lumia 950 XL. We also fixed an issue causing some battery drain on older devices like the Lumia 535, 640, 735, 830, 930 and Icon. We fixed the issue causing Voice Recorder to not show up consistently as an option for Call Recording. A app update was released last Friday that fixes this issue. Make sure you have the app version 10.1607.1931.0. We are aware of certain cases in which Surface Books and Surface Pro 4’s may bugcheck (bluescreen) due to a camera driver issue. An updated driver will roll-out via Windows Update soon that will fix this. We are continuing to investigate W-Fi issues on certain devices. Turning off Bluetooth can sometimes result in freeze, crash, or reset. See this forum post for more details. Wallet users are prompted for a PIN twice when using tap to pay from a locked phone. You can enter their PIN twice and tap as usual once the phone is unlocked. A fix for this will come as a Wallet app update via the Store. Of course, users are most likely experiencing even more issues in this build than Microsoft originally revealed. So, we’re going to write our round-up article with all the problems in Windows 10 Preview build 14393 as reported by actual users to let you know what to expect. 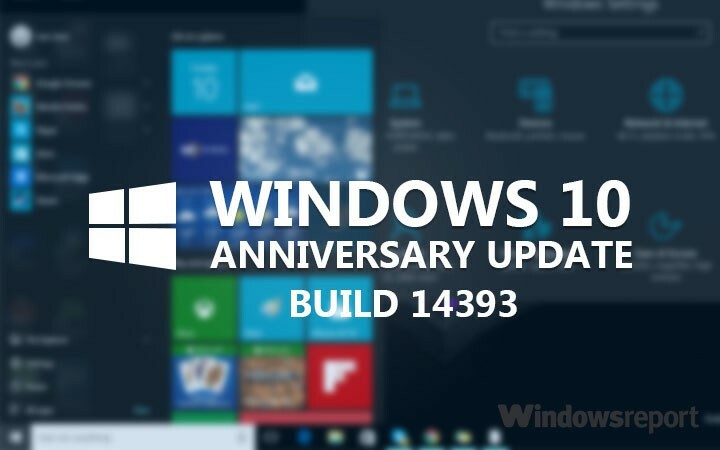 If you already installed build 14393 and encountered some problems that Microsoft hasn’t listed as a ‘known issue,’ feel free to let us know in the comments so we can include it in our report.